Adam, the Prince of Eternia, has a secret identity. When he holds aloft his magic sword and recites "By the power of Grayskull" he becomes He-Man, the Most Powerful Man in the Universe. 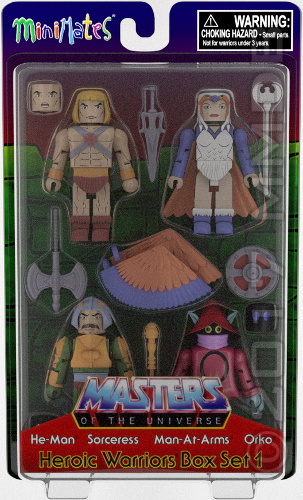 The Sorceress, Man-At-Arms and Orko are among the few that know his secret. Together they defend Castle Grayskull from the evil forces of Skeletor.